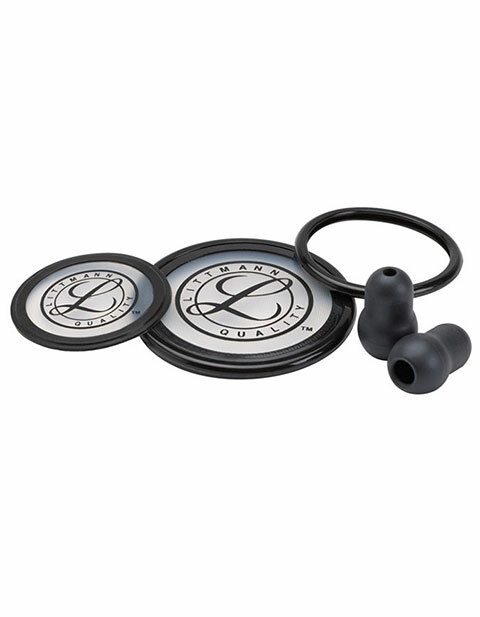 Get this Littmann Spare Parts Kit for Cardiology III that includes small snap tight soft-sealing eartips and a adult tunable rim/diaphragm assembly. This kit also contains rim, snap-on— Pediatric and tunable diaphragm— Pediatric. These fits perfectly on Cardiology III stethoscope. Available in black color.